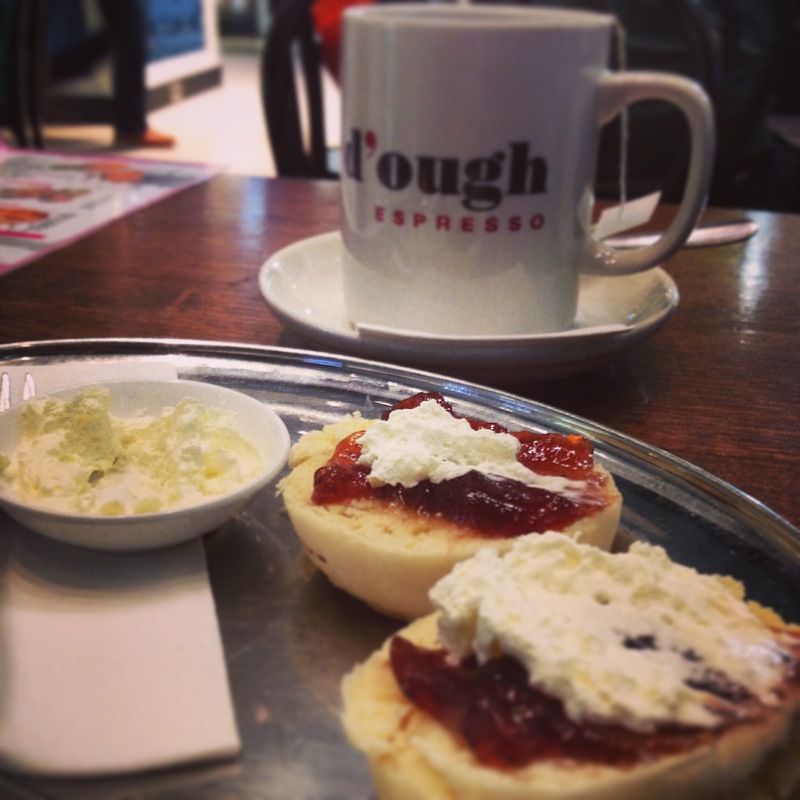 Another scone offering in Sydney’s CBD is D’ough Espresso in The Galleries opposite Sydney’s QVB. Date and plain scones are listed on the breakfast menu but when I turn up mid afternoon there is only one plain scone left. Ordering a tea and scone, I ask how they are served having learned my lesson in ordering scones in city cafes. I ask them not to toast my scone and to ditch the butter and replace it with cream. None of this is a problem and I take a seat. My tea arrives in a mug that is three-quarters full, and after perusing the menu I realise that you can get a pot, but I am not even asked by the cashier. The scone arrives cut in half but luckily not toasted. The cream is from a can and extremely light and the Beerenberg jam is in portion controlled packets. Tea: A small selection of T2 tea bag teas served in a mug or teapot. Overall: It’s not the best CBD option, but if you are short of time.